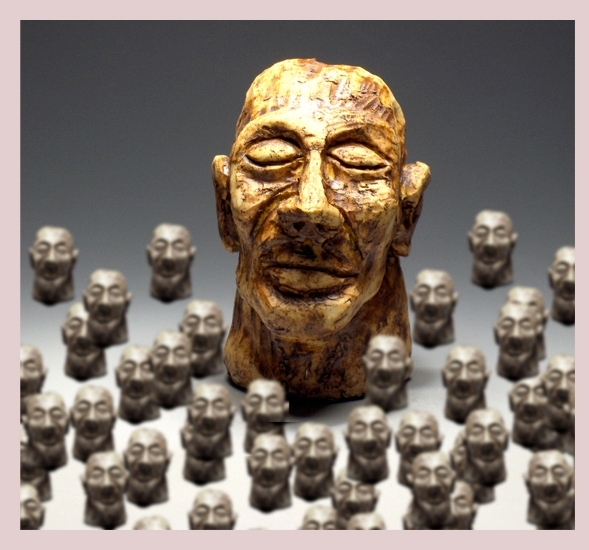 The gallery will be filled with 1000 small individual hand made ceramic sculptures of a character called “The Monk”. The work began as a group of “monk heads” on a shelf which then evolved into a single work of 1000 smaller pieces. It is a temporal installation that is meant to exist for a moment and then be dispersed into the universe. The collection can be seen as a meditation on meditation in which the massive is gained by the small. Wanner’s work presents the viewer with an exploration of pattern and a study of the essence of the ceramic process. Sliding Door Gallery presents a juried survey of photography by regional artists and photographers. This exhibit includes a wide range of work from traditional photography processes to digitally manipulated photographic collage. Twenty-two images were chosen for this exhibit which corresponds with Denver’s Month of Photography. A show of work by students in the photography program at the Front Range Community College in Fort Collins. The work is from Photo I, Photo II and Digital Darkroom classes. Works by 12 students were selected by the faculty for inclusion in this show. Please join us for these receptions. Both shows run through Sunday March 30th. Our regular hours are Fridays, Saturdays and Sundays from 1-5 pm or by appointment.